For Marinade: Combine wine, orange juice, oil, adobo sauce, cumin and black pepper in food-safe plastic bag; add beef, closing bag securely. Marinate in refrigerator 6 hours or as long as overnight, turning occasionally. For Salsa: Grate 1/2 teaspoon zest from orange. Cut orange in half and remove segments with a grapefruit knife; chop segments into 1/2-inch pieces. Combine orange zest, segments, tomatillos, onion, chipotle peppers, cumin and salt in medium bowl and refrigerate until ready to serve. 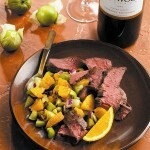 For Steaks: Remove steaks from marinade, discarding marinade. Place steaks on pre-heated grill over medium heat, about 8-10 minutes for medium rare (145°F) to medium (160°F) doneness, turning once. For Nachos: While steak is grilling, prepare nacho chips. Pre-heat oven to 350 degrees F. Arrange tortilla chips in an oven-safe casserole dish. 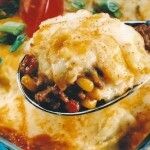 Top with Monterey Jack cheese. Warm chips in oven for about 5-7 minutes, until cheese is melted and bubbly. For Presentation: Allow steak to rest 3-4 minutes. Season steak with salt, to taste. Carve steaks diagonally across the grain into thin slices*. 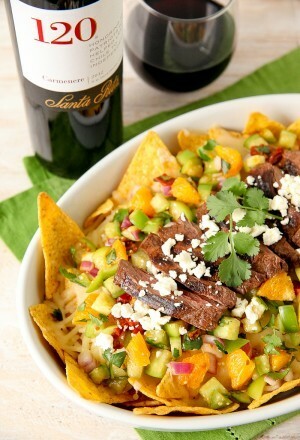 Top warm nachos with Orange-Tomatillo Salsa and arrange sliced skirt steak over salsa. 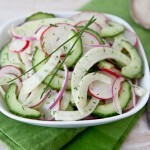 Finish off with crumbled cojta cheese and garnish with fresh cilantro. 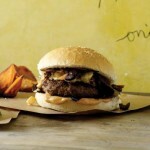 Serve immediately and pair with Santa Rita 120 Carmenere wine. Note: For beautiful presentation, slice skirt steaks diagonally and fan out over nachos. For effortless eating, skirt steak can also be diced into bite-sized pieces and scattered over nachos.